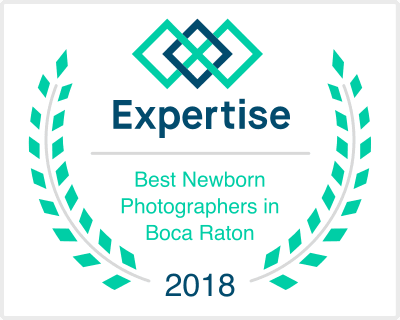 It is an honor to have been named one of the best newborn photographers in Boca Raton. This is the third year I have held this award. 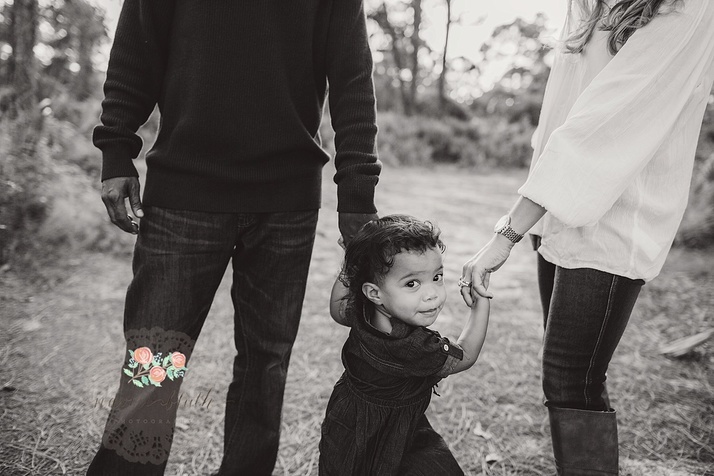 I love all the families I work with and the little ones I photograph that come from all over the South Florida area. 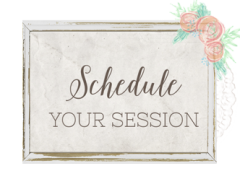 From Delray Beach, Palm Beach all the way down to Miami I treasure each session with your little ones. 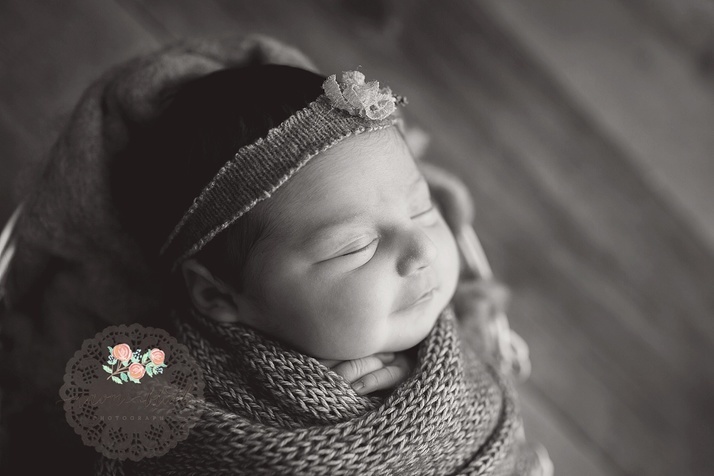 Meet baby Eleeana, isn’t she just precious! 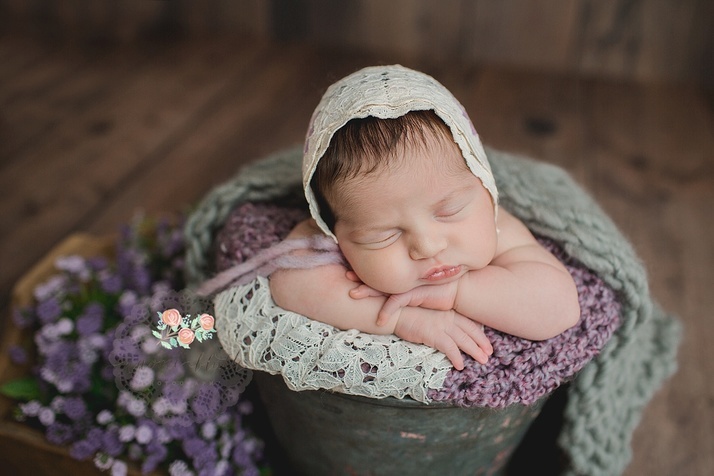 I have been privlidged to photograph many of her older sibling’s newborn sessions as well. 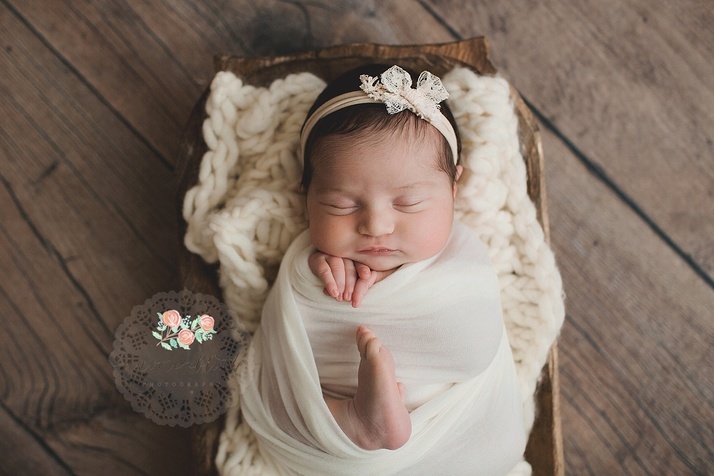 When mom walked into my Boca Raton studio for the newborn photo shoot I immediately fell in love with little Eleeana. 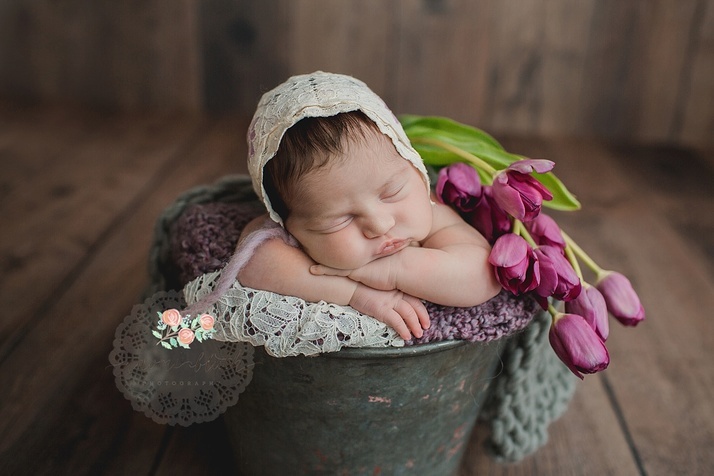 She was so good to me, sleeping away her entire photo shoot. Mom loved my idea to go with purples for our photo shoot. 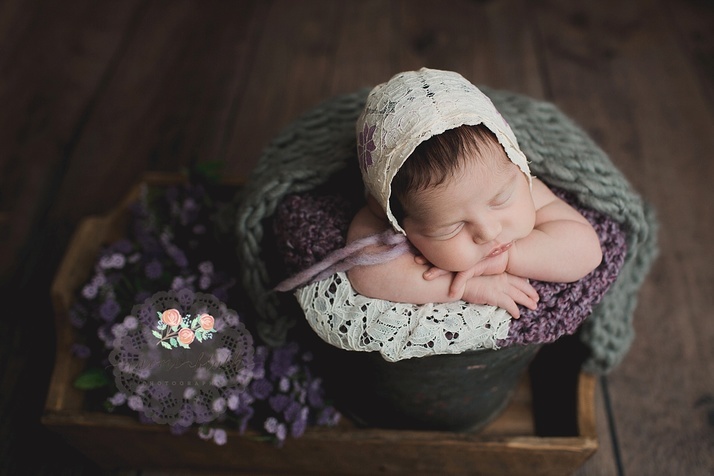 It turns out purple is Mom’s favorite color, I sure hope it is Eleeana’s too! 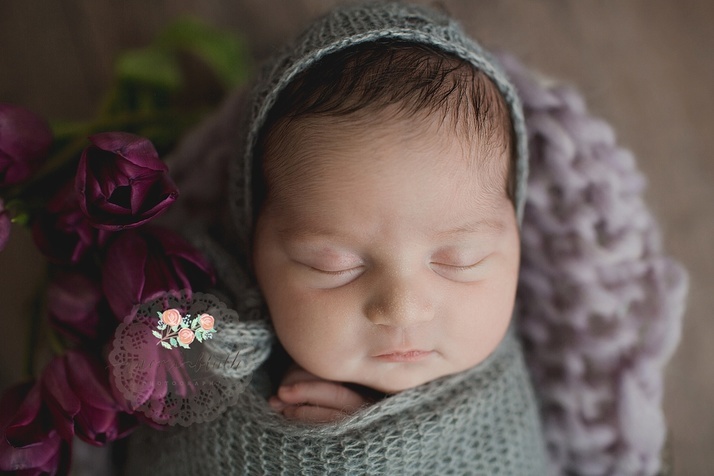 She seriously looks as sweet as an angel in these newborn photos with just a hint of a smile in many of them. 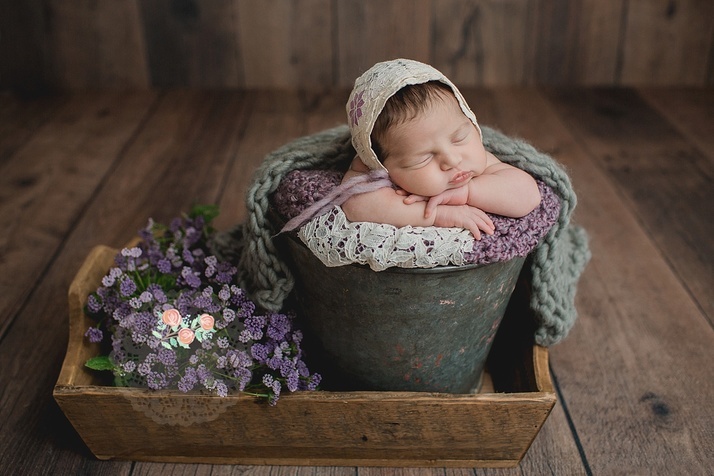 One of my favorite images from this session is of baby Eleeana in the bowl which I then placed in a box surrounded by purple flowers. Look at that smirk, I just can’t handle the cuteness! 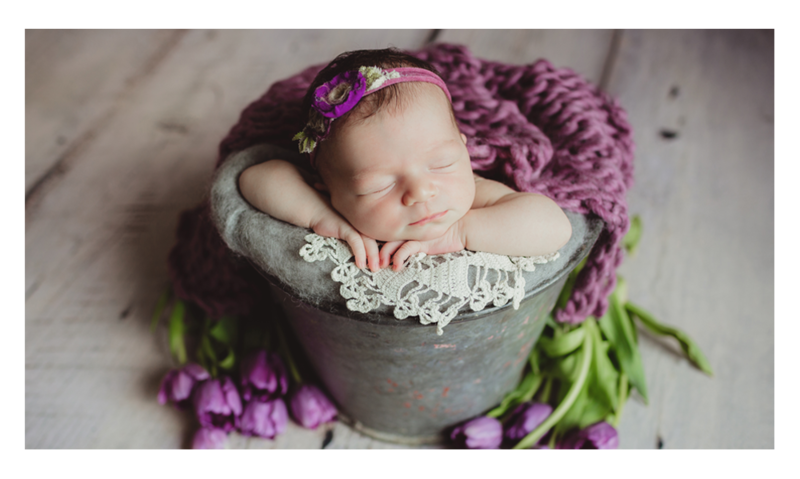 Another favorite of mine is of baby Eleeana in the bucket with tulips. Oh how I love me some fresh tulips! I wish they were in bloom all year round! Thank you mom for always trusting my vision and bringing me all your cute little babies, I always treasure our time together! 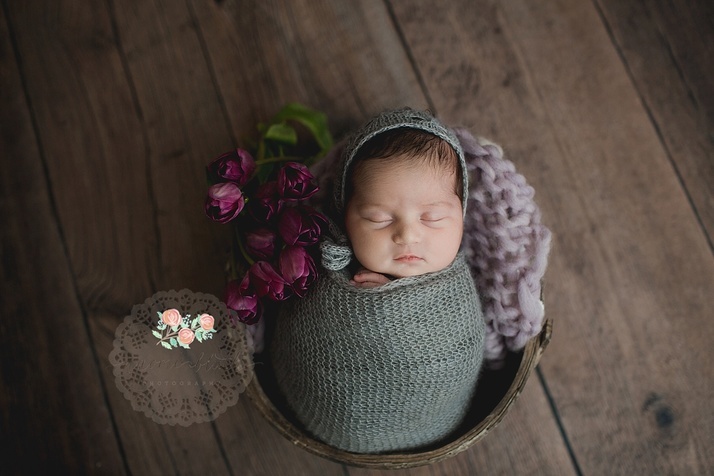 For more information on booking your own newborn session please head over here. 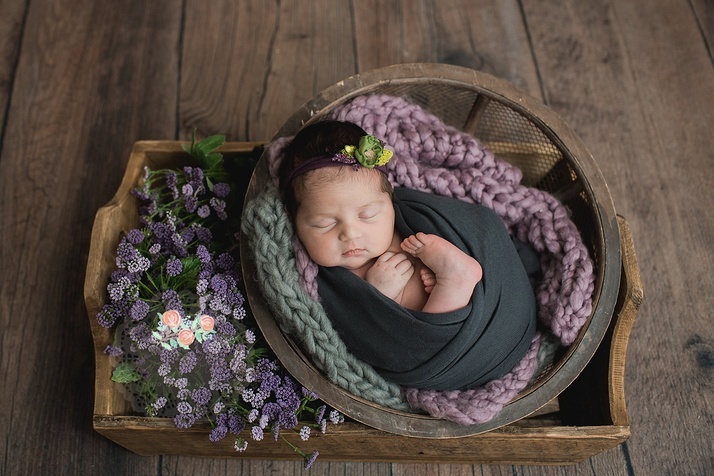 Here are more newborn photos for you to see. 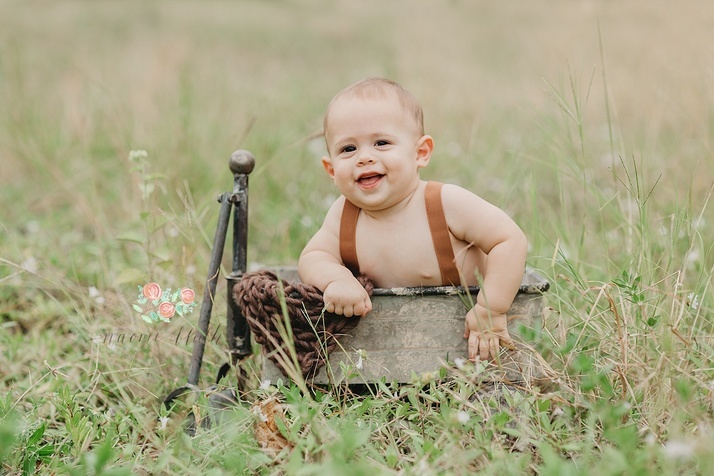 Also check out my older baby portraits. 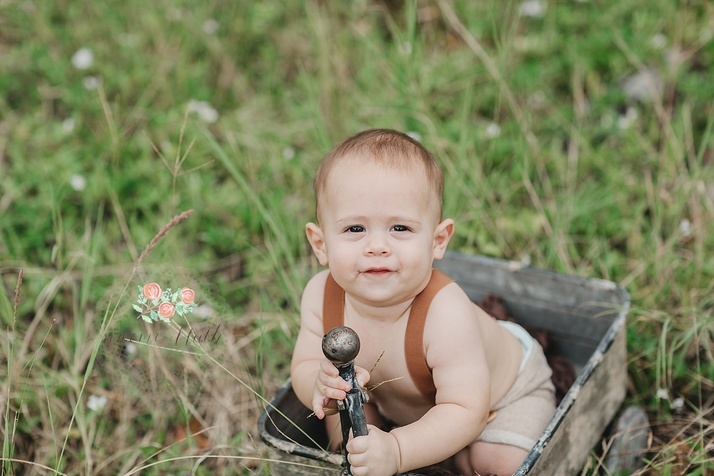 I love finding new locations for my Boca Raton baby photo shoots. 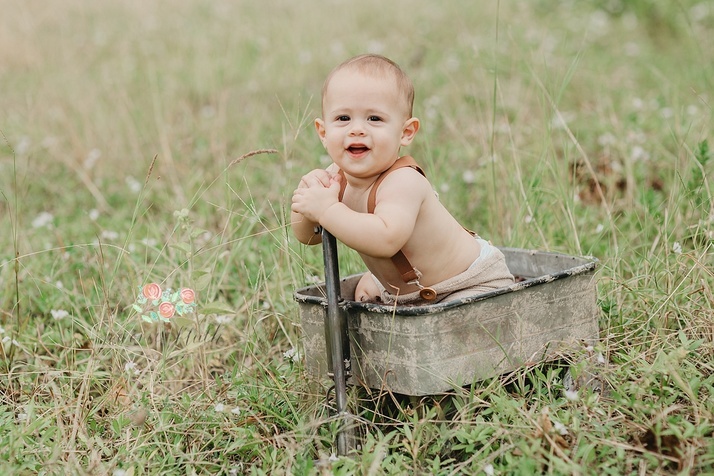 I think there is nothing more beautiful than a baby placed in a big open field. 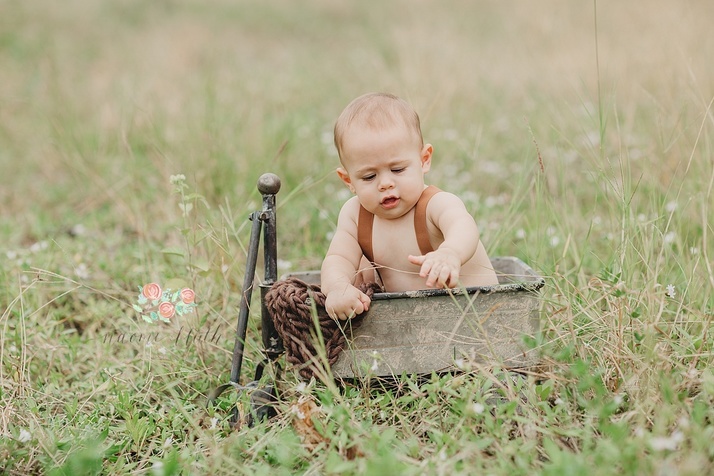 I love the rustic and vintage tone to this photo session, and from the looks of it so does baby E! Isn’t he just so cute!! I just love the little sitter age, it is so much fun. Baby’s can finally sit on their own and they are just so proud of themselves. I like to time little sitter sessions when baby can sit on their own but not yet crawl away. Once they are crawling there is no stopping them! 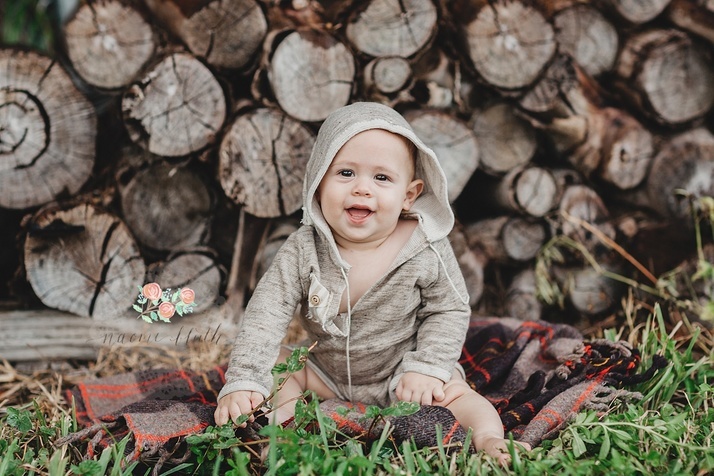 Typically seven months of age is the perfect time to schedule a little sitter session. It’s also such a fun stage because babies loves to interact with me. I make all sorts of funny noises that they think are hysterical. 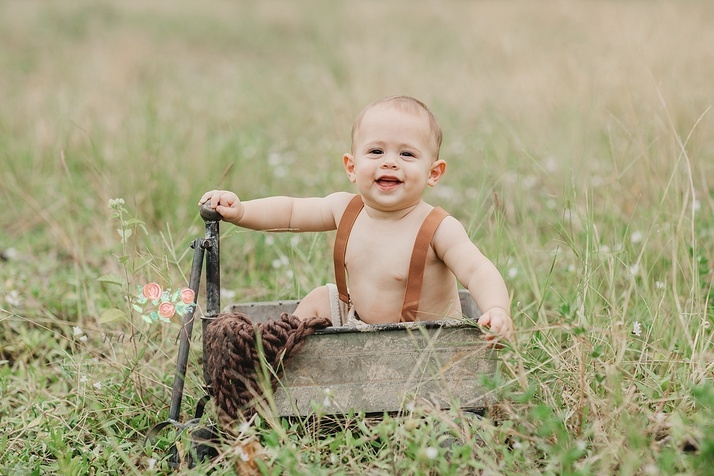 End result is adorable happy baby pictures. 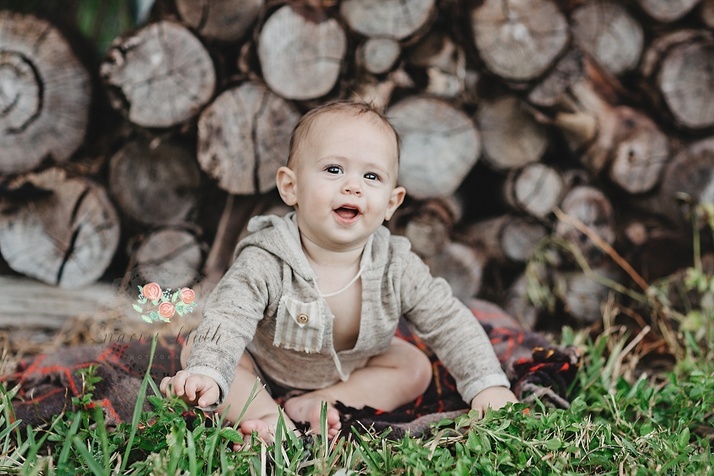 One of my favorite shots from this baby photography session is of baby E in front of the logs. 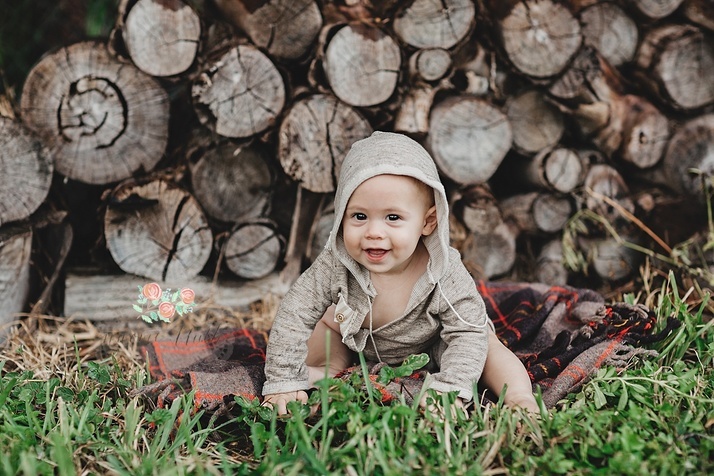 I just love all the warm brown tones in his outfit, logs, and blanket. It’s so rustic yet so timeless. And, who can beat that fabulous happy smile of his?! 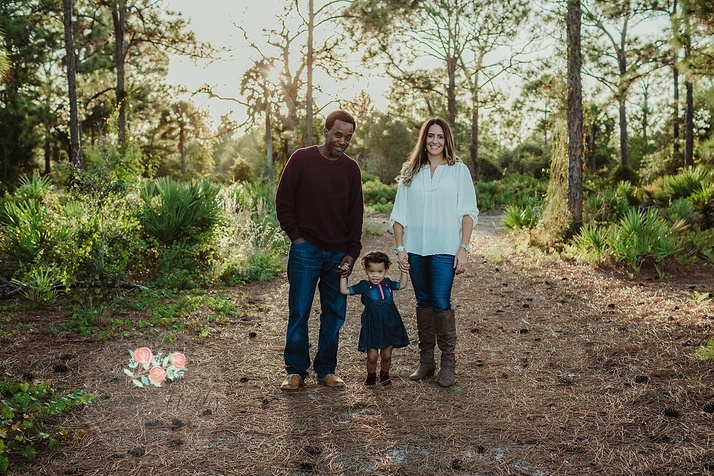 If you would like some more information on booking a little sitter session in Boca Raton I’d love for us to chat. You can reach me through my contact tab here or give me a call 305-479-1941. 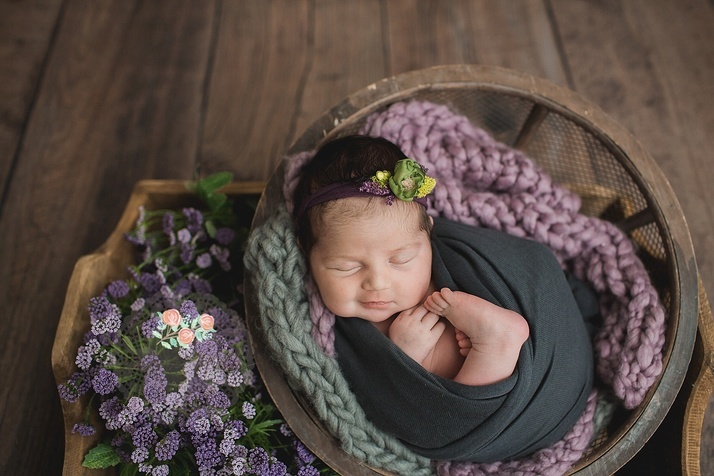 Also check out my Newborn Photography Sessions and Family Photo Sessions . 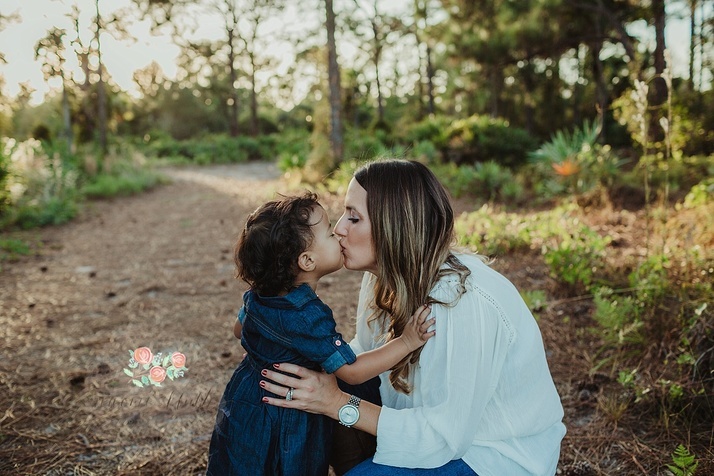 As a mom and a Boca Raton photography studio owner I know how important it is for all of us moms to support one another. 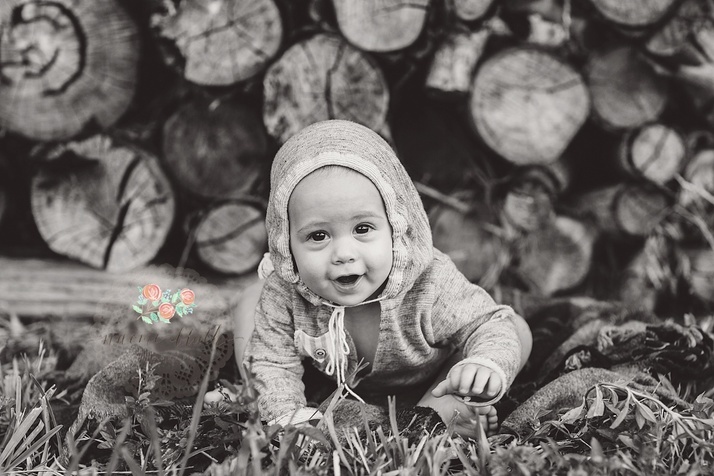 I thought it would be a fun idea to once a month hand over my blog to a local momtrepreneur and highlight their business. 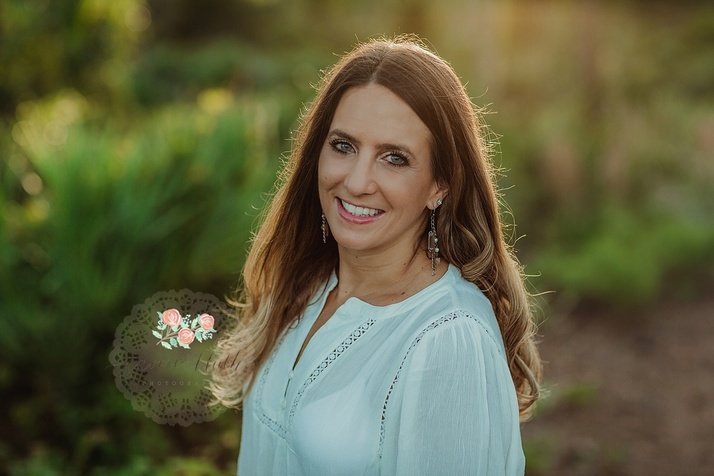 My first blog guest is the amazing Christina Lawson. I am in awe of how she juggles her family and business life and finds the positive in everything. So without further adieu meet Christina Lawson, independent consultant for Rodan and Fields. NBP: Tell us a little about yourself and what led you to become a Rodan + Fields consultant. 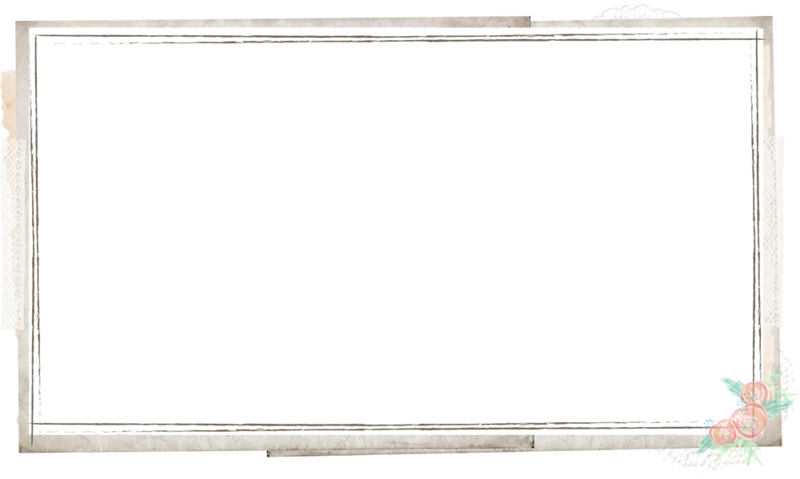 CL: My name is Christina Lawson. I’m originally from Delaware, but have lived in Florida now for the past 12 years. I’m married and we have a 2 year old daughter that keeps us on our toes. I’m also 4 months in expecting with our next child. I’m a teacher by trade but my passion really is my Rodan + Fields skincare business. I started my skincare business a little over 2 years ago and it’s been the absolute best thing for our family! NBP: What is your favorite product(s)? CL: Wow!! Great question! 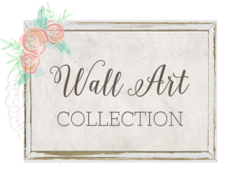 I have tried almost every product and really love everything. I’m not just saying that either because it’s my business. We seriously have the best products. I mean, we are the number 1 premium skincare brand in North America for a reason. I would have to say that my favorite is our Redefine regimen (number 1 anti-aging regimen in the U.S. and Canada) and of course, Lash Boost. NBP: What do you love about working with the company? CL: Hands down, the community of women and friends that I have met. Being a teacher, I go to work, come home and spend time with my family, and do the same thing again the next day. There’s not much time for socializing or going out and meeting new people. This business has given me a group of phenomenal women as friends, who all support each other and just have so much fun together. It’s really awesome! And of course, having the best skin of my life is definitely a bonus.